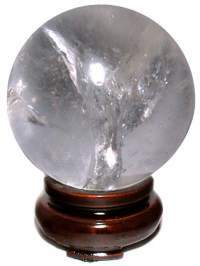 Excellent 55mm "A" grade or better Clear Quartz Crystal Spheres from Brazil. These spheres have good 80% plus clarity with veils or rainbow inclusions and an excellent polished finish. These Quartz spheres are great for Feng Shui cures, healing crystal work, scrying or a distinctive addition for the collector. The Oriental Rosewood Stand is sold separately. 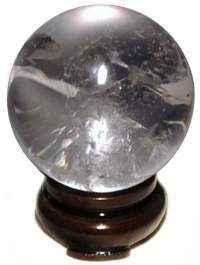 Superior Madagascar 52mm"A" grade or better Clear Quartz Crystal Spheres are 85% or more clear with minor veils or inclusions and an excellent polished finish. Madagascar Crystal Quartz is well known for its high quality, great clarity and superior color. Crystal Quartz is said to heal past wounds and re-energize one's Life Force. The Oriental Rosewood Stand is sold separately. 53mm or 2 1/8" Sphere - 7.5ozs. 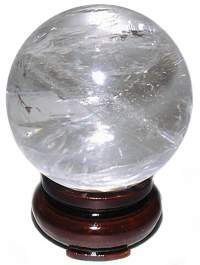 Superior Madagascar 55mm "A" grade or better Clear Quartz Crystal Spheres are 85% or more clear with minor veils or inclusions and an excellent polished finish. Madagascar Crystal Quartz is well known for its high quality, great clarity and superior color. Crystal Quartz is said to heal past wounds and re-energize one's Life Force. The Oriental Rosewood Stand is sold separately. 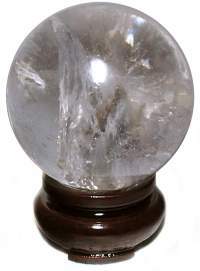 Excellent Madagascar 57mm "A" grade or better Clear Quartz Crystal Spheres. These spheres have good 85% plus clarity with veils or rainbow inclusions and an excellent polished finish. The Oriental Rosewood Stand is sold separately. 57mm or 2 1/3" Sphere - 8.5ozs. 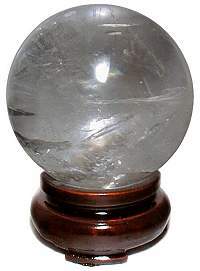 Excellent 60mm "A" grade or better Clear Quartz Crystal Spheres from Brazil. These spheres have good 80% plus clarity with veils or rainbow inclusions and an excellent polished finish. These Quartz spheres are great for Feng Shui cures, healing crystal work, scrying or a distinctive addition for the collector. The Oriental Rosewood Stand is sold separately. 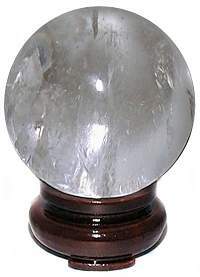 Superior Madagascar 60mm "A" grade or better Clear Quartz Crystal Spheres are 85% or more clear with minor veils or inclusions and an excellent polished finish. Madagascar Crystal Quartz is well known for its high quality, great clarity and superior color. Crystal Quartz is said to heal past wounds and re-energize one's Life Force. The Oriental Rosewood Stand is sold separately. 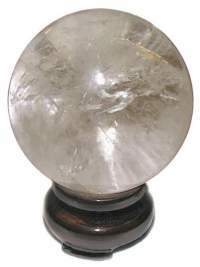 Superior Madagascar 75mm "A" grade or better Clear Quartz Crystal Spheres are 85% or more clear with minor veils or inclusions and an excellent polished finish. Madagascar Crystal Quartz is well known for its high quality, great clarity and superior color. Crystal Quartz is said to heal past wounds and re-energize one's Life Force. The Oriental Rosewood Stand is sold separately.